The retail sector represents one of the biggest industries in the United Kingdom. However, it is now reported to be faced with the possibility of shrinking its workforce by an estimated 900,000 jobs. This warning has been issued by the BRC (The British Retail Consortium). 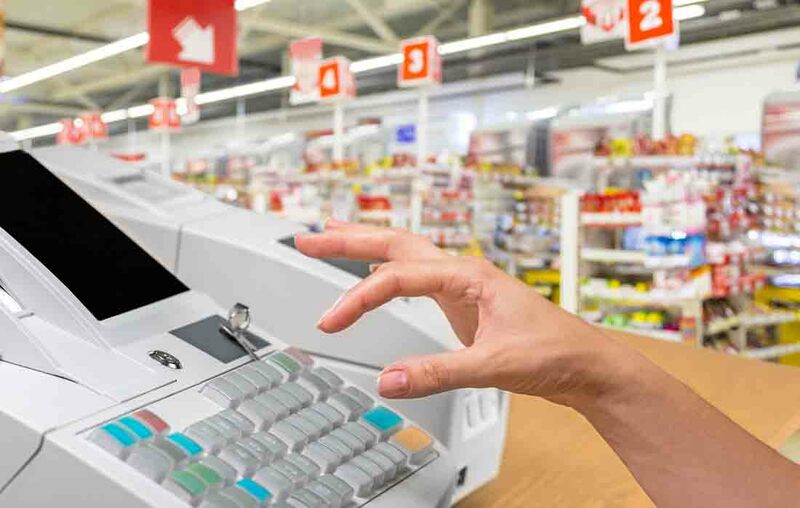 The British Retail Consortium represents retail companies up and down the country has said that the increasing costs due to the new apprentice levy and the “national living wage” is likely to increase the amount of jobs that get axed. The prediction has been made only the day after Morrisons announcement that it will be partnering up with Amazon to begin selling food in the United Kingdom. The new Amazon Pantry section of the company is expected to have similar success in groceries as it did in music and home entertainment. According to the British Retail Consortium, around 74,000 of the United Kingdom’s shops could closedown. The report went on to say that around 30% of these shops would be likely to be located in Wales or the north of England. Following the economic crisis of 2008, many retailers found it difficult to recover and many high streets in Britain still haven’t done so. MFI, Zavvi and Woolworths were just some of the big names shops to have disappeared since then. As of April 2016, over-25s will have to be paid £7.20 an hour- as the new national living wage comes into effect. This represents an increase of 70 pence per hour; it is an increase that the British Retail Consortium estimates will cost the sector as much as £3bn per year. The BRC also carried out a survey amongst “low-paid employees” (defined as people who make less than one-fifth above the minimum wage) and reported that 70% of them were women with an average age of 35 years old. The chairman of the BRC and head of John Lewis said that whilst the retailers were in favour of higher wages, it would nonetheless have an impact upon employment. The report from the British Retail Consortium also revealed that the number of people who are now working in the retail sector on low pay has almost doubled in the last 25 years- now sitting at a ratio of 60%. He also said that the effect that the new national living wage was going to have on employment was going to have to be very carefully scrutinised. Sir Charlie continued to say that the government should be rebalancing the different levels of taxation that companies on the high street and companies online have to pay. He argues that this gives companies like Amazon an unfair advantage. “The government is making sure workers in Britain get a pay rise by introducing the national living Wage from April this year. We are already seeing record employment rates and more people in employment than ever before. Sir Charlie went on to describe the national minimum wage as a “blunt instrument” that whilst aiming in the right direction doesn’t quite address the nuanced nature of the retail sector across the country as a whole. He went on to discuss the prospect of more shop closures and the effect that that will be likely to have on the high street. He continued by discussing the number of retailers that have employees on low pay and said that he didn’t think that the industry had a “low-pay problem”.